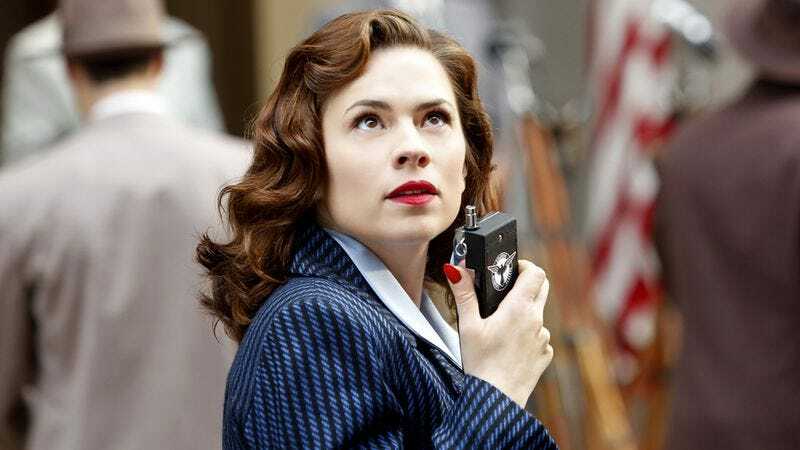 Hayley Atwell is best known for playing a character from the ’40s, but in real life her social media savvy is second to none. She’s the kind of person who can turn Dubsmash into an art, then a competition, then recruit megastar Chris Evans into her winning video. And that’s not even mentioning her commitment to adding diversity to the second season of Agent Carter, her affinity for pranks, and her love of cake. And now Atwell has charmed the internet all over again with her declaration that were she to play any character on Doctor Who, she’d want to be the Doctor. The idea of having the shape-shifting Time Lord—who so far has been played by 13 dudes—regenerate into a woman is a popular one among a good portion of the Doctor Who fanbase. And since Atwell is the beloved face of an explicitly feminist show, her tweet was something of a hit. Of course, current Doctor Peter Capaldi has no plans to leave the show in the near future and Atwell will presumably be busy with Agent Carter for a while. But even if this is all just a mental exercise, it’s probably helpful for fans to have a specific woman in mind when discussing the nebulous idea of a potential female Doctor. After all, the creative team has mostly stuck to the party line that it boils down to getting the right person for the role, regardless of their gender. And it’s hard to deny the fact that Atwell’s commanding, witty presence would work for the Doctor.